The business client, had lost its Outlook personal storage (.pst) files due to accidental deletion of data from its desktop computer. The 3.5’’ Western Digital desktop hard disk drive has the model number WD3200AAK and the serial number WMAV2HE54458. The company has core competencies in diesel engines, petrol engines, generator sets, and farm equipment. It has six manufacturing units that produce excellent products backed by more than 3500 service outlets across India to cater complete spares and services. The client had accidentally deleted data from their desktop computer. Desperate to regain the lost data, the client used a data recovery software and was able to recover all except the .pst files. 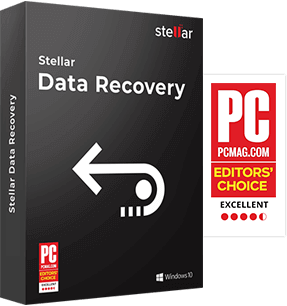 Looking at the urgent need to recover the .pst files, the client contacted Stellar Data Recovery Pune Service Center. Our customer care staff at Stellar Data Recovery – Pune Service Center received a call from the client. The staff listened to the requirements of the client, comforted with positive words, and suggested to send the HDD for diagnosis and recovery. The client dispatched the HDD to our service center within a week. We then gave the HDD to our data recovery experts with the stated issues and the requirements. Our team diagnosed the drive and found that it is a sheer case of logical failure to access data, as the client deleted data from the storage device. The team scanned the HDD using our proprietary data recovery software. The recovery engine could not detect the .pst files during the scanning. Therefore, the team added the header information of the .pst manually and salvaged 20 GB of the .pst files. We conveyed the data recovery success to the client on the very same day. The client, verified the data through a remote session and found that the requested .pst files worked in the Microsoft Outlook application as usual. 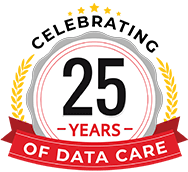 The client was satisfied with the recovery result and thanked Stellar Data Recovery – Pune team for their effort in making the recovery a success.